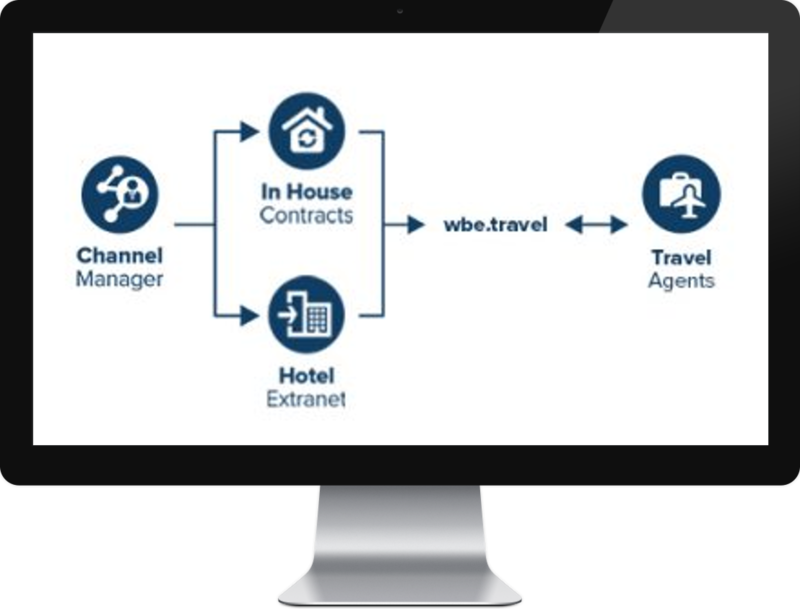 With just one XML connection to any channel management platform you can connect your Hotel Extranet System to a huge inventory of hotels in preferred destinations and populate the hotels content in your databases of either B2B or B2C booking engines, whichever your business model is. Integrating a Channel Manager into your online booking system will expand your global coverage so you will be able to increase accommodation choices for your travelers: from ordinary global chains to elite hotel groups and unique, independent hotels around the world. Gaining connections with world’s leading channel management systems you can access new properties and at the same time you are getting the best available rates and real time inventory in an automated and cost-effective manner. wbe.travel provides you with flexible API (push/pull) that can connect to each channel manager in order to grant your travelers with access to the full range of inventory available in some locations with less and less booking errors. This connection will avoid the time challenging task of trying to manually update countless hotel booking channels (via Extranet or even via e-mail and phone calls). Until now wbe.travel has been already connected 19 world-renowned Channel Managers, giving OTAs access to thousands of new properties globally through their platform, thus helping them grow their business. Discover wbe.travel’s full list of leading Channel Managers HERE.